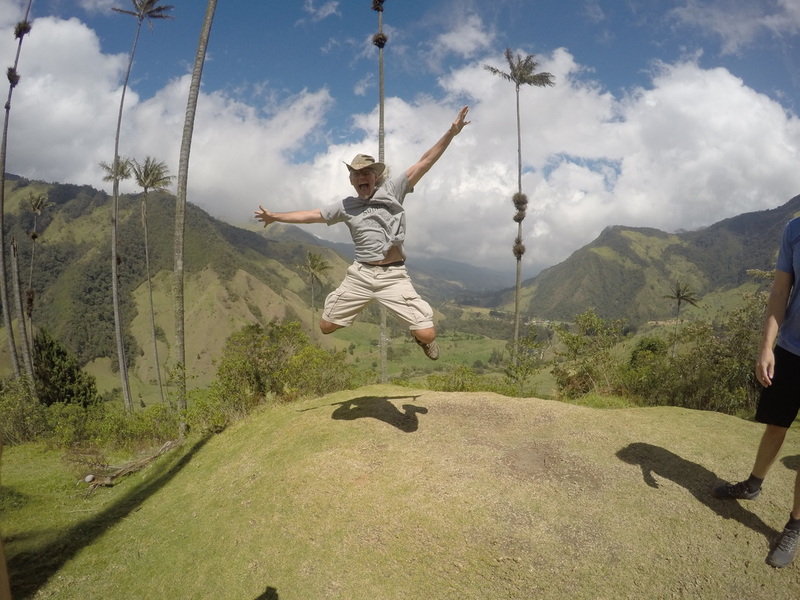 Colombia's Coffee Country - Salento to Manizales. 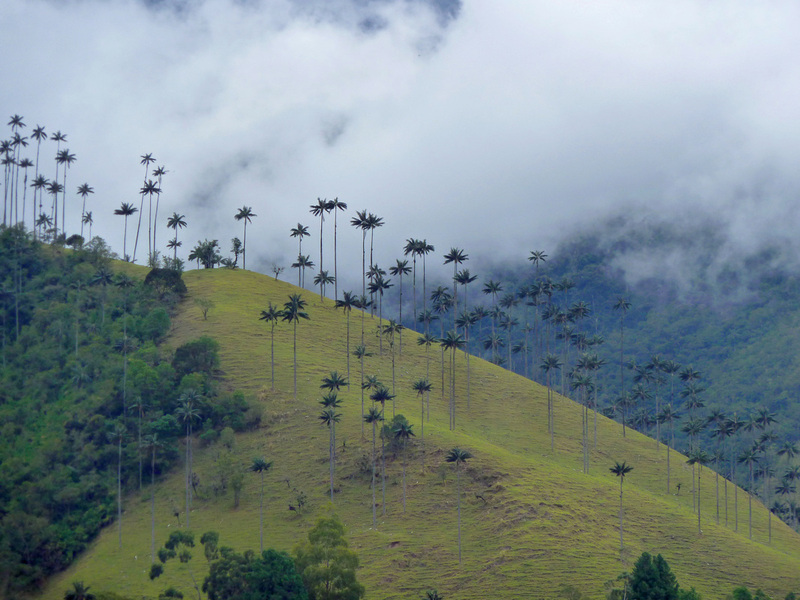 The Cocora Valley - Take a hike through a cloud forest 7,500' above sea level in the Andes among the crazy 200' tall wax palm trees - Colombia's national tree. Just a short jeep ride away from where we'll be staying in Salento. Some of the brightly colored doors of downtown Salento. A typical family scene in Colombia's coffee country... sacks of coffee on the roof, mom, dad and baby in the front seat and son hanging off the back. Willy's Jeeps are a way of life out here. Dancing in the streets of Salento. 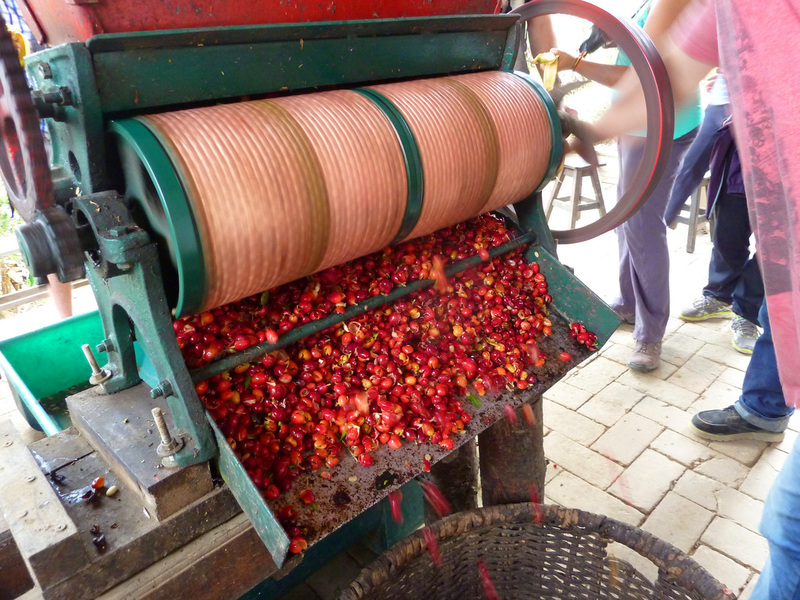 Separating the coffee cherries is still done manually on many small family run Colombian coffee farms. We'll have plenty of opportunities to visit one. August 9 - 17, 2017. We added a second trip due to popular demand! $1649 including air. Best trip ever. I'm so excited about this trip I don't know where to begin! The hotels are amazing. The scenery is gorgeous. The people are some of the friendliest I've ever met... anywhere. And it's the middle of the dry season with average temperatures in the low 80's and twelve hours of sunlight every day. $1649 includes airfare from JFK on Avianca, all air taxes and fuel surcharges, transfers between all destinations in Colombia, four nights in Salento in the gorgeous Salento Real Hotel with breakfasts, two nights at the La Quinta ranch with breakfasts, lunches and dinners, two nights at the Luxury Hotel Quo with breakfasts and a pre-departure orientation. Single supplement available for $159. Most people don't realize that Bogota, Colombia is only a tad over 5 hours away and it's in the same time zone. The hop from there over to the the Coffee Triangle is about 40 minutes! 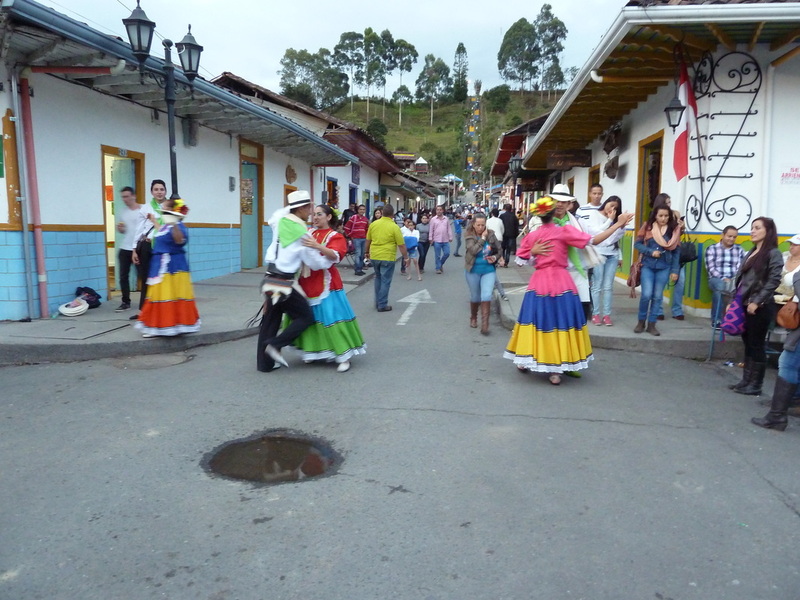 Salento is a pretty little Spanish colonial town nestled in the Andes in the heart of Colombia's coffee country. It's a "tourist" town only in good ways. It's got everything you need and it hasn't been discovered by Americans yet so it's not overpriced... far from it! There's plenty to do in and around town... coffee plantation tours (including a really good one 10 minutes walk from the center of town), horseback riding, hiking in the Cocora Valley with 200 foot tall palm trees that look like something out of a Dr. Suess book and a cafe stop half way around the walk with more hummingbirds than you can count. And don't be surprised if you see Juan Valdez walking down the street... seriously. 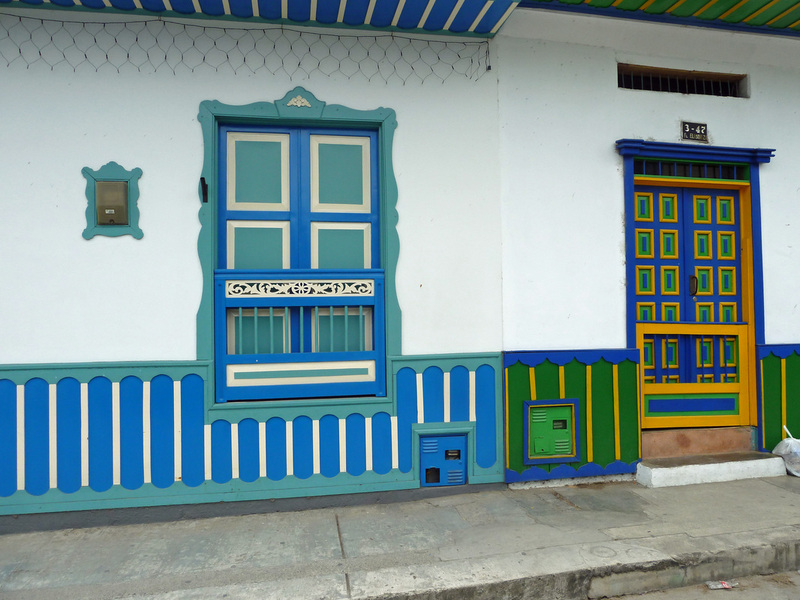 Manizales is one of the three main cities that make up the Coffee Triangle, and it's got a cool vibe. The public transit system is a series of ultra modern cable cars that criss cross the mountain ridges to take you to the various neighborhoods... for 75 cents! Manizales is a quaint, mountainous city that has the look and feel of a European university town. Home to 6 colleges and universities, it is also the regional center of art and culture, with the Manizales International Theater and Jazz Festivals. Hotel Salento Real. A gem of a hotel in the heart of Salento. This will be our base for four days while we explore the town and surrounding countryside. La Quinta is a traditional cattle ranch that extends to the foothills of the Los Nevados Mountains National Park, located in the Colombian Coffee Region. It has it's own thermal water baths, seven amazing natural waterfalls and spectacular scenery - perfect for horseback riding, hiking, relaxation, meditation and adventure. Their chef will prepare all our meals during our two night stay here, while we relax before our trip to Manizales and all the city has to offer. Hotel Quo in Manizales, Colombia boasts a rooftop terrace with Jacuzzi, sauna, spa and stunning views. A great base to explore the city. Located in a great neighborhood with shopping and restaurants nearby, or visit one of the many nearby thermal hot springs. Breakfast served at hotel. 10:00am meet for an optional private tour of Don Eduardo’s Coffee Plantation. Rest of the day free at your leisure. Overnight in the Salento Real Hotel. Suggest: A game of Tejo? Or maybe futbol? Breakfast served at hotel. Rest of the day free at your leisure. Overnight in the Salento Real Hotel. 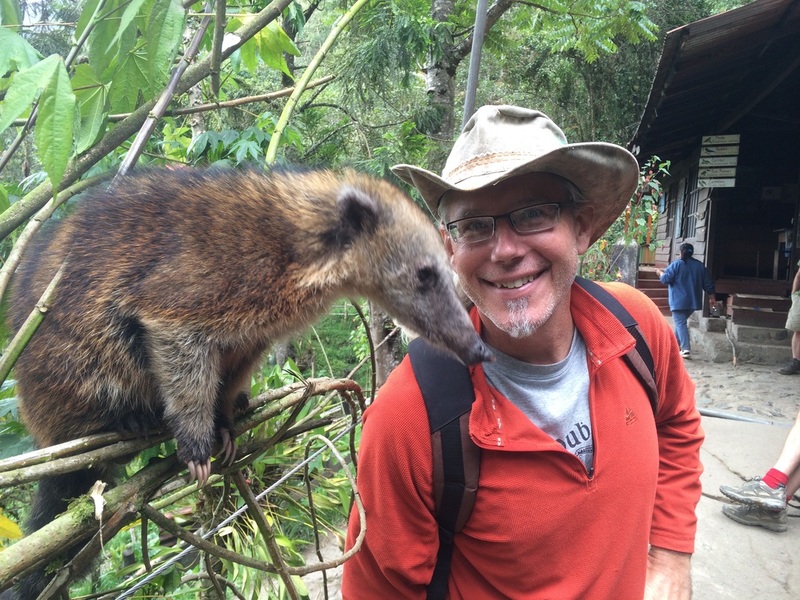 Suggest: Meet 8am in the main square for jeep ride to the Cocora ValleyDay for 5 hour guided hike through the cloud forest to see the 200’ tall palm trees and hummingbirds. Breakfast served at hotel. Day free at your leisure. Overnight in the Salento Real Hotel. Suggest: Day trip to visit some of the local Paisa villages and take a swim in the Rio Verde with the locals. Breakfast served at hotel. Meet in front of hotel to board our private coach for transfer to La Quinta ranch. 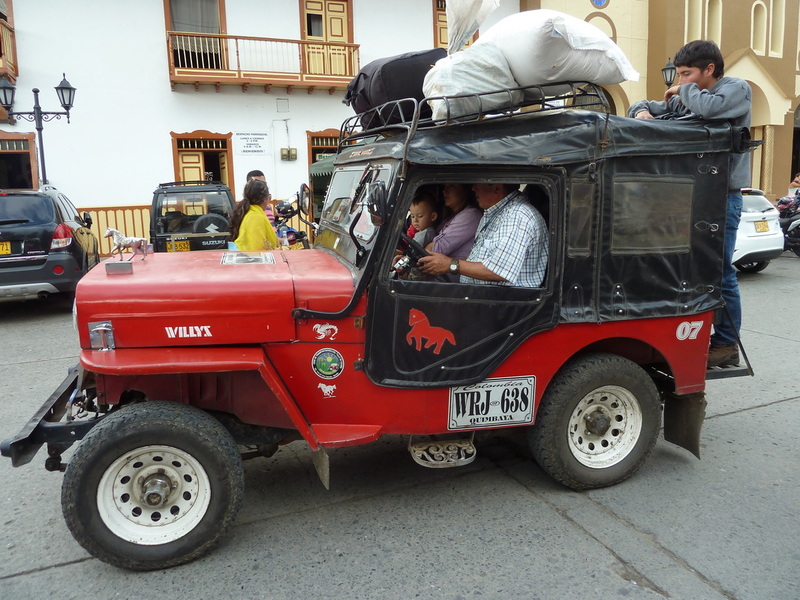 Along the way we trade our bus for a chiva (open air brightly painted party bus), then horses and mules for the final leg. 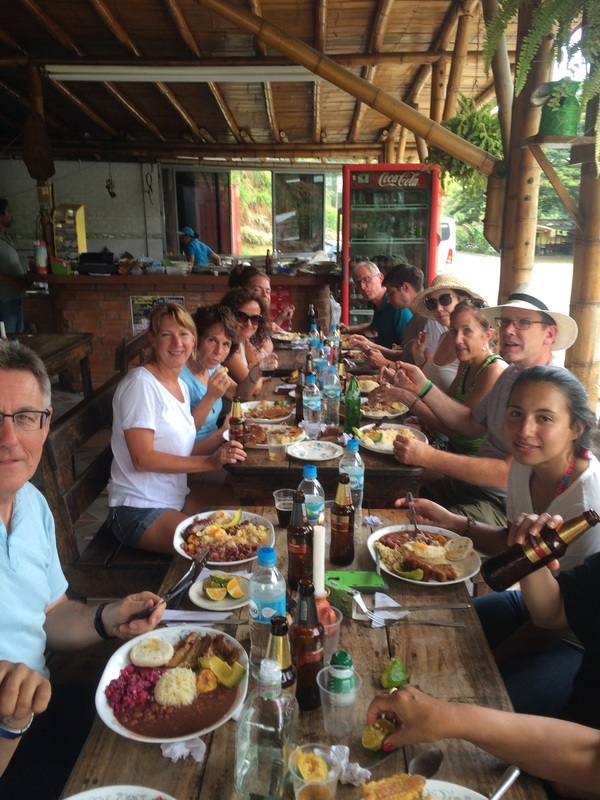 All meals will be provided while we stay at La Quinta.This place is beyond description with waterfalls, volcanic hot spring fed swimming pool and starry nights you’ll never forget. Not to mention the home cooked food! Breakfast, lunch and dinner served at La Quinta. The day is free to enjoy at your leisure. 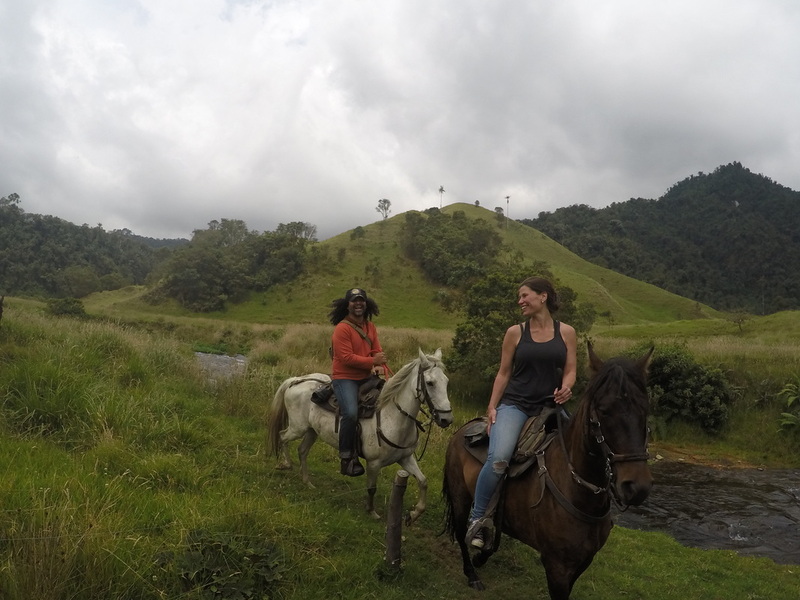 Opportunities for hiking, horseback riding and quiet relaxation at it finest. Overnight in La Quinta ranch. After breakfast we will begin our journey to Manizales. Overnight at the luxury Quo Hotel with rooftop terrace and spa. Breakfast served at hotel. Day free at your leisure. Overnight in Hotel Quo. Suggest: A visit to one of the many thermal springs near Manizales and take a ride on their very unique public transit system… cable cars that traverse the steep mountainous terrain. Breakfast served at hotel. Meet in lobby. Our coach departs 9:30am for transfer to airport for flight home on Avianca Airlines. This is the beautiful ranch we stay at on our Colombian trip to the Andes Coffee Country. No cell or internet service. Accessible only by horseback. Volcanic hot spring fed swimming pool and rustic luxury.